U.S. News & World Report ranks the College of Charleston the No. 5 public school among top Regional Universities (South) in its 2019 edition of Best Colleges. The College was also named a top-10 school in the Best Colleges for Veterans and Most Innovative Schools, and for Best Undergraduate Teaching. The magazine has also listed the College as an “A-Plus School for B Students," for "scholars trapped in the GPA of a B student." The College was named a top-10 school for its First-Year Experience program in a 2016 U.S. News poll of academic peers across the nation. The College's Career Center ranked No. 1 among public master's-level universities, based on access to job placement as well as positive student and recent-alumni experiences with the center. "Personal attention is the name of the game at the College of Charleston. The College's students love the fact that at this mid-sized school (which has an undergrad population of about 10,000) they get to know their profs as people as well as teachers." 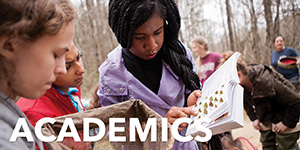 Students say, " ... Professors are dedicated to helping undergraduates excel, leading to strong professor-student connections and many more opportunities to conduct undergraduate - as opposed to graduate - research." The College was chosen among the 375 for its commitment to sustainability through academics, career preparation, policies, initiatives and activities. The College was named one of the best colleges in the Southeast. Only 25% of the nation's four-year colleges were selected for the guidebook's regional listings. Schools were selected based primarily on academic excellence. 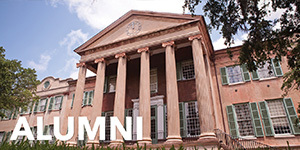 The College of Charleston has become the finest public liberal arts and sciences institution in South Carolina, propelled by an honors college, opportunities to do research and study abroad, and new living and learning facilities. Whether sampling the traditional Lowcountry cuisine or delving into the wide range of courses offered at this strong liberal arts institution, students at the College of Charleston know they are getting a solid education based on creative expression and intellectual freedom. "The school is filled with amazing, talented, intelligent and respectful people," says a senior. Professor's get high marks in and out of the classroom. "I can say I've had some of the most amazing and intelligent professors," says one freshman. The College was named Travel + Leisure's most beautiful college campus in America. USA Today raves about Charleston as a "post-college town brimming with youth, jobs." The city is ranked No. 14 for a city over 100,000 people with a strong draw for people ages 20-29. 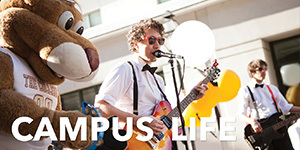 PARADE magazine’s College A-List included the College as one of the best small public schools in the nation. Recommended by high school counselors, the College was chosen as a school that combines "the communal feel of a small liberal-arts college with the breadth of choice offered by a big university." "The campus itself is a piece of history located in the heart of Charleston’s historic district, and students studying historic preservation and arts management (Charleston is home to the Spoleto Festival) have a living laboratory at their disposal." View the full College A-List article. 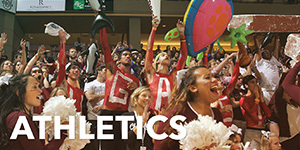 Newsweek named the College of Charleston as one of the country's most interesting schools. The College of Charleston ranks No. 60 among Kiplinger's 2013-2014 top 100 "Best Values in Public Colleges." The College was selected for its high four-year graduation rate, low average student debt at graduation, abundant financial aid, low sticker price, and for being an overall great value. 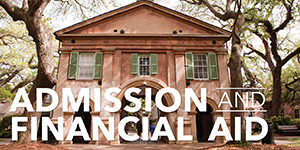 Forbes Magazine has named the College of Charleston as one of the best educational values in the nation. Forbes ranked the College of Charleston #7 on the list of the top 25 “Best Value Colleges” in the United States. The College is also among the magazine's 2017 "Top College" rankings based on key return-on-investment indicators such as salary, student debt load, on-time graduation rates and academic and professional success. The College of Charleston is ranked No. 1 in the U.S. among public master’s-level institutions for the total percentage of undergraduate students who study abroad. The College’s bachelor’s degree in data science was ranked No. 5 in the nation by Best Computer Science Schools for 2017. 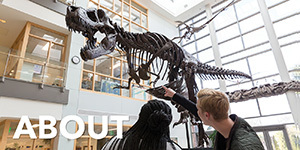 The College was selected based on institutional excellence and student success, as well as the strength of its data science program, which was the first undergraduate program of its kind in the U.S. The College of Charleston's international business program was ranked No. 2 in the nation using multiple factors including affordability, flexibility and student success.